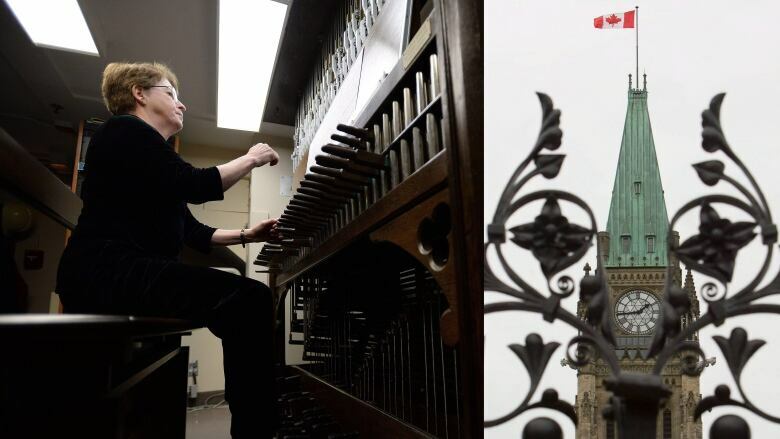 You no longer have to be within earshot of Parliament Hill to hear the Peace Tower carillon's sometimes sentimental, sometimes silly 53-bell take on popular songs. Starting Sunday, audio of the carillon concerts will be live streamed. The recitals take place at 12 p.m. ET on weekdays from September to June, and at 11 a.m. ET in July and August. Schedules will be posted in advance, but song selections are subject to change depending on the occasion, such as the cover of Bobcaygeon by The Tragically Hip that was played a few days after the death of the band's frontman, Gord Downie. The programming will also occasionally be tweeted from the House of Commons account. The recitals will often be themed, such as an ode to a certain recently legalized herb on April 20. Some of the upcoming concerts from carillonneur Andrea McCrady, who just marked a decade behind the instrument in the Peace Tower, include In Flanders Fields on Remembrance Day, the opening track from Jeremy Dutcher's Polaris Prize-winning album Wolastoqiyik Lintuwakonawa on Wednesday and songs of Gordon Lightfoot on Nov. 16. The first carillon recital on the Hill took place July 1, 1927, during the first live, coast-to-coast radio broadcast in Canadian history.